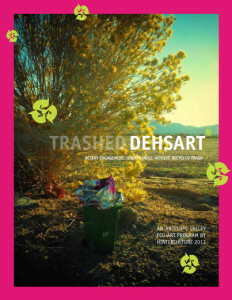 DEHSART >> TRASHED backwards << is an eco-art and discard studies initiative that builds awareness, support and engagement to educate and transform illegal dumping activity through community action, art interventions, and mapping. DEHSART combines prevention, awareness and outreach through artistic engagement and environmental education to cultivate social connections, collective action, and civic empowerment in order to transform the landscape through small interventions of public art that will tell a story of environmental resources and inspire change in our ecosystem. 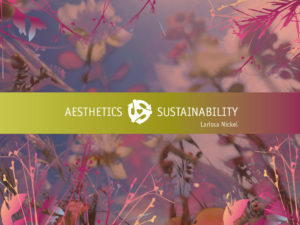 Among four dimensions of sustainability (environmental, economic, social, and cultural), the role of aesthetics is integral to this discourse. Through aesthetic activation, artists have the power to deepen our learning and understanding of the issues that impact us: the air we breathe, the water we drink, what we discard, and the broader ecological systems in which we live. 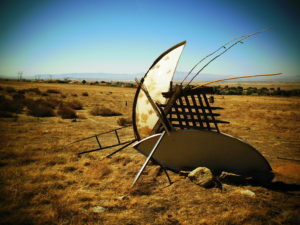 DEHSART has been generously funded by the Antelope Valley Illegal Dumping Task Force, made possible by the LA County Supervisor’s Antelope Valley Office, Waste Management, the City of Lancaster, the City of Palmdale, Lockheed Martin, and citizens like you. Together we can make a difference.